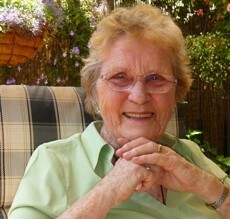 Elizabeth Nicholson from Perth was diagnosed with the asbestos cancer mesothelioma in 2008. Elizabeth never worked with asbestos and she is one of an increasing number of people affected by asbestos-related disease who were not exposed in the workplace. In spite of being given only a short time to live at the time, her health has remained relatively stable. Here she talks about the shock of receiving her diagnosis and how she and her family have dealt with the aftermath. Elizabeth traces her exposure back to the early 1990s when she was living in a fibro house in Brisbane which she and her family renovated. They were never aware that the dust clouds caused by demolishing asbestos walls might make them sick years later. When Elizabeth started feeling breathless she went to see her doctor in Perth. Even though initial scans weren’t worrying subsequent scans began to cause her doctors concern. Elizabeth had her daughter Libby with her when she was told by the doctor that she had the asbestos cancer mesothelioma and she couldn’t believe what she was hearing. Here she talks about how she and her family reacted to the news of her illness. After the initial shock of the diagnosis Elizabeth found a way of coping day to day, adjusting to the reality of the illness herself and helping her family to keep things as normal as possible. She talks here about life within her extended family..